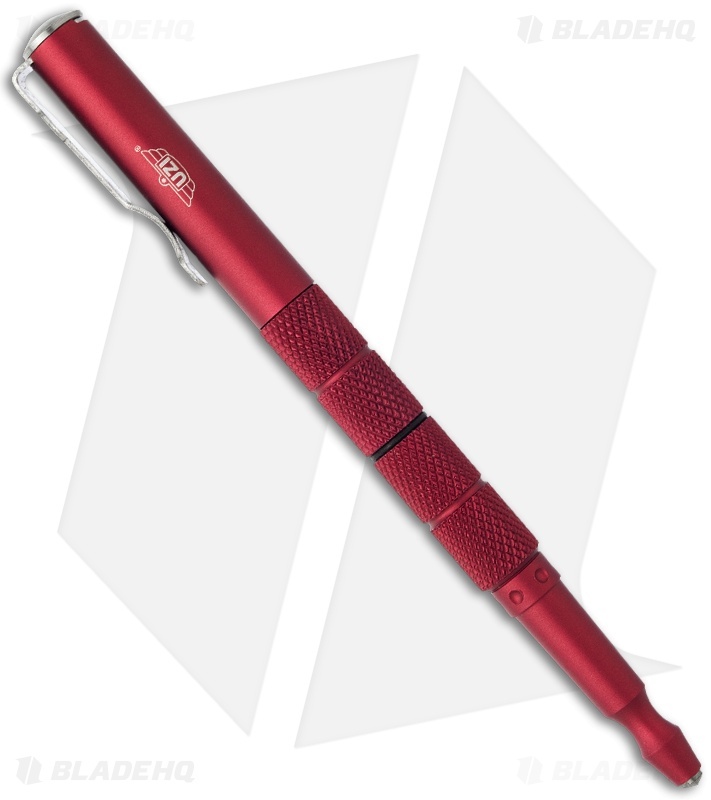 The UZI Tactical Defender Pen 5 is comfortable for everyday writing tasks and strong enough for self-defense applications. 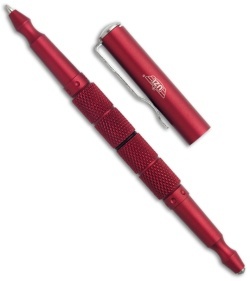 It features a retractable pen tip (twist to open and close) and a glass breaker tip. 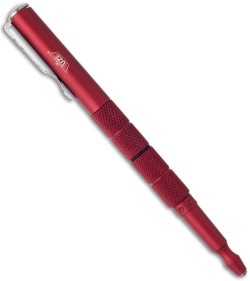 The cap fits securely on either end and is outfitted with a satin finished stainless steel pocket clip. 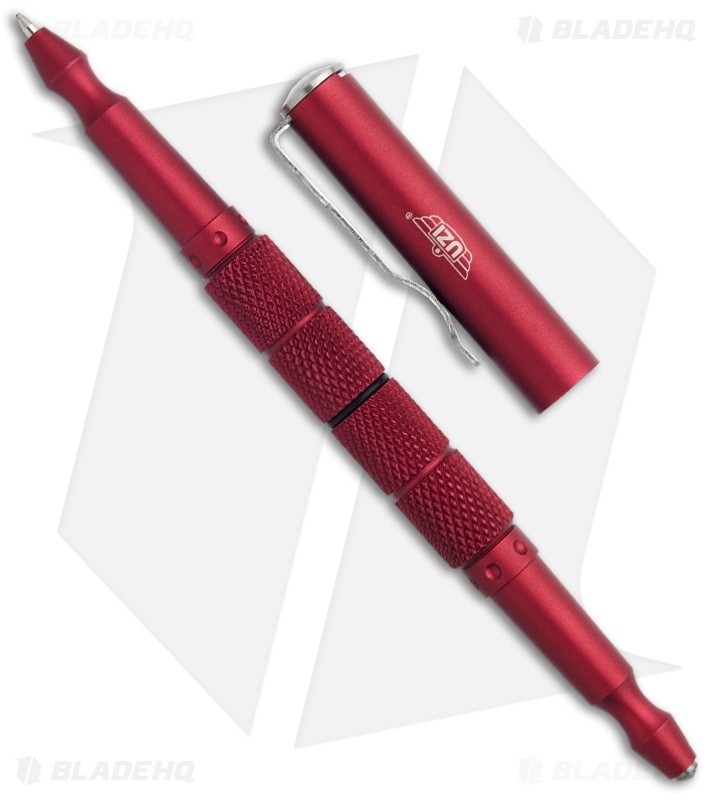 The red finished aluminum body has knurled center rings for grip.